Technical analysis is one of two ways in which traders and investors are able to analyse securities in order to make informed decisions. Fundamental analysis is one way and it involves determining the value of a company and therefore, the value of their stock. The other way is called technical analysis and it involves analysing the market price movements. Technical analysis is the focus of this article. Technical analysis uses a variety of tools to analyse the market, specifically the supply and demand. This is in order to make an educated decision about what the future trend will be. The market activity statistics are analysed, including factors such as volume and past prices, in order to discover patterns that can predict how the stock or commodity will do in the future. Technical analysis can be very complicated so this will just be an overview. However, even though it can be complicated, anybody who invests or trades should make themselves familiar with technical analysis and how it works. This is because it will enable you to make smarter decisions and make more informed trades. 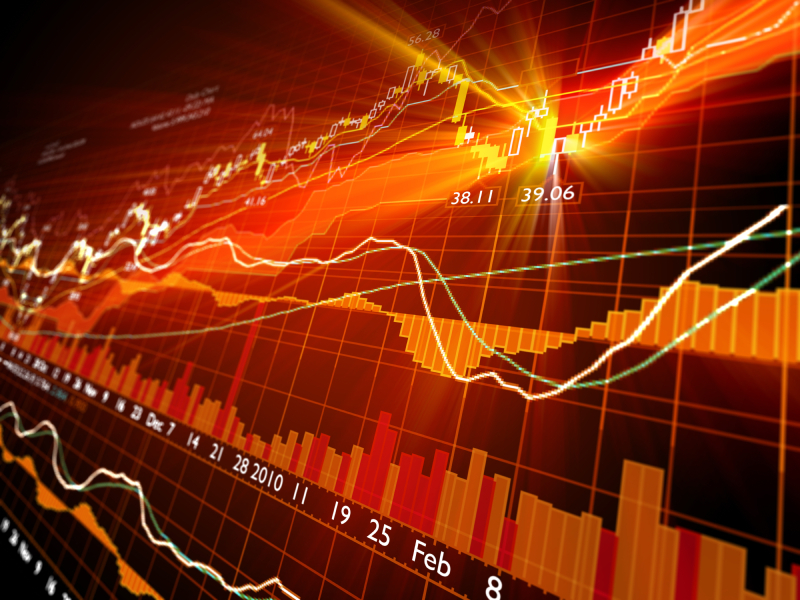 Technical analysis focuses on using historical data to determine how that stock or commodity will behave in the future. The analysis is done through chart patterns, technical indicators or a combination of both. The Market Discounts Everything – Technical analysis focuses on the historical movement of an asset’s price instead of fundamental factors. One of the assumptions of technical analysis is that the price reflects everything known about the asset. This includes the fundamental factors. Technical analysis ties those factors into the price. Which is why only the prices are analysed. Price Moves in Trends – historical price patterns indicate trends and once a trend has been identified and established, the future of that investment will likely continue to follow that trend, not go against it. History Tends to Repeat Itself – Price movements are repetitive and patterns can be established and analysed. Technical analysis is used for a wide range of securities, not just stocks. Any security that has historical price trading data can be analysed this way, including forex, fixed-income securities, stocks, futures and commodities. A trend is the direction that a security or a market is going in. Identifying trends is a big part of technical analysis. Trends are not always easy to see just by looking at charts or graphs. Because sadly not every market or security has a clearly defined or clean trend. Because of that, technical analysis involves looking at how the highs and lows move. Prices rise and fall and the way that they can be tracked on the chart determines if something has a downtrend or an uptrend. Trends are further classified as being short-term, intermediate, or long-term. A long-term or major trend is a trend that continues for at least a year. Intermediate trends last between one to three months. Short-term trends are shorter than a month. Trends can be tracked on charts by using a trendline. A trendline is simply a line drawn on the chart that represents the trend. It is used to determine the direction of the trend. The whole idea of identifying a trend is so that you can use it to your advantage by trading with the trade and not against it. Charts are a vital part of technical analysis. This is because a chart is how the historical price of the stock or commodity is tracked over time. Charts can be made to show prices in the distant past or over a long period. This gives a better idea of the general trend of the price. Once you have a chart, you can look for the chart patterns. These patterns can give an indication of how the price movement will likely be in the future. Because of the importance of charts in technical analysis, those who use technical analysis are often referred to as chartists. Head and Shoulders – this is perhaps the most reliable pattern. This reversal chart pattern usually indicates that an investment is about to move against the current trend. Cup and Handle – this chart forms a cup shaped pattern because an upward trend pauses and then will continue again. Double Tops and Bottoms – this chart pattern indicates a future trend reversal. Flag and Pennant – when there is a price movement either up or down followed by a sideways movement, this is usually a short-term trend indicator. Wedge – indicated either an upwards or downwards trend that can be either a reversal of a trend or a continuation of a trend. Gaps – only found on candlestick and bar charts A gap is when there is significant price difference between two trading periods that are sequential. Triple Tops and Bottoms – signals a trend reversal and will have either three near equal peaks or three near equal troughs.